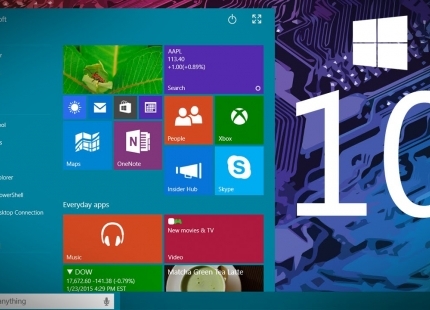 Microsoft has made some big announcements and promises regarding Windows 10. Just last week it was announced that Microsoft would make a Cortana app for iOS and Android phones later this year and as early as June for Android. This Phone Companion app with Windows 10 is designed to help sync devices, so you could plug an iOS and Android device into a Windows 10 device and install Office, OneNote, OneDrive, Skype, Outlook and soon Cortana and Music. People are getting kind of excited. CNET even said Windows 10 “may just be everything that Windows 8 should have been” which is a backhanded compliment that is actually fairly indicative of what Microsoft’s key brand challenge has been: lots of false starts and big promises that sometimes leave people feeling shorted. Will Windows 10 finally give people what it promises? What Can Windows 10 Do? The new Windows 10 OS sounds pretty awesome. It features a lot of the outputs of Project Spartan – the coolest of which may be the ability to “draw” or annotate web pages and share them, and Cortana, which is a virtual assistant. It’s like Siri on steroids – it can search for files on your PC, set reminders, track flights, find directions to stuff and more. In order to ensure that 10 lives up to the hype Microsoft needs to highlight that this is the most immersive OS update ever. It cuts across work and life alongside device: mobile, tablet, Xbox Live and it’s running apps that are connected to the IoT/smart home vision they have as well. If Windows 10 delivers on the vision, it will likely be the most immersive OS on the market, period. When I think of it in this context, the branding may really be akin to the metaphor of the central nervous system, with the desktop/OS being the brain in this case. The other connected apps, devices and the web are all part of the system that connects back to the OS. The smarter the OS, the more ubiquitous it becomes. This stirs up the image of science fiction coming to life – a central computer you can talk to anywhere in your home or on the road that delivers the consistency and predictability of a user experience (which is a part of what was missing in 8). The ultimate vision for Windows 10 is this massive empowerment mechanism that makes life so much easier. Microsoft should look at the ad messaging and imagery as being highly emotive, focusing on the “moments” that the apps can create to connect people to each other and to the important moments in their lives. For example, it’s not helping you look for directions to a restaurant, it’s enabling you to catch up with an old friend. It’s not storing your photos, it’s preserving your memories, etc. with the ultimate goal of enhancing those experiences via the OS. Microsoft just needs to remember that using emotive visual assaults personalizes the brand experience, so they will need to be able to deliver on their promises in the product and not make things so complicated that average users are frustrated. Put simply, Microsoft will need to position this nervous system as more of an e-helper or enabler, and less HAL from 2001 A Space Odyssey. If all goes well, Windows 10 could be great because the OS is designed to help people find things, go places, buy stuff, and interact with each other, which provides a great platform for digital advertising. We’ll have to wait and see how things pan out. My experience is in designing, developing, and executing on transformative business strategies that drive growth, meet market needs, and deliver quantifiable ROI. Having worked both domestically and internationally for many years in the SaaS B2B technology arena, my true passion is all about driving growth through the delivery of innovative technology.